Celebrating more than 50 years in the entertainment business that he loves! 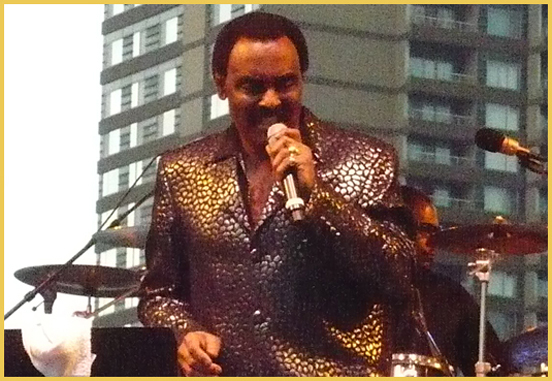 "As intense a soul belter now as in the days of such hit records as 'Any Day Now' and 'I Don't Want To Cry,' Chuck Jackson has been conquering demanding audiences worldwide for over five decades." 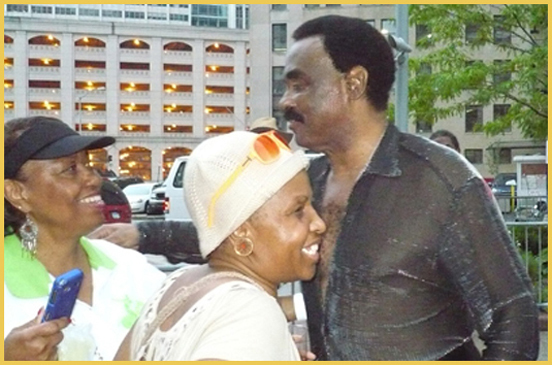 Chuck and friends work up a sweat at the recent Detroit Jazz Festival. 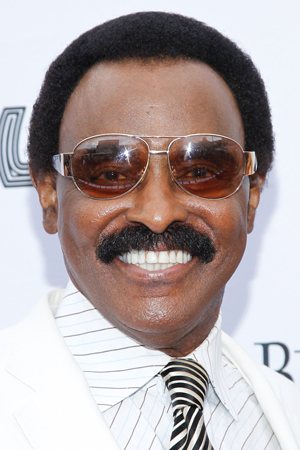 Chuck is pictured walking the red carpet at the Apollo's recent star-studded tribute to Stevie Wonder. Chuck and close friend Smokey Robinson attend a special Friar's Club ceremony honoring Smokey at the Waldorf-Astoria in New York City. 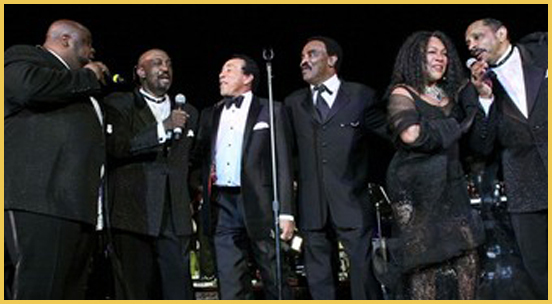 Smokey and Chuck are seen below flanked my Mary Wilson and The Temptations. "Ladies and gentlemen, Chuck Jackson!" The audience screams in anticipation as the band charges into those first magnificent chords, a teasing hint of the high drama soon to unfold. The lithe, elegantly-attired singer takes the stage to the sustained roar of ecstatic fans who can't seem to stay in their seats. When he grabs the mike and launches into the lover's tragic prophecy of "Any Day Now," the house explodes with squeals of excitement and bone-rattling applause. 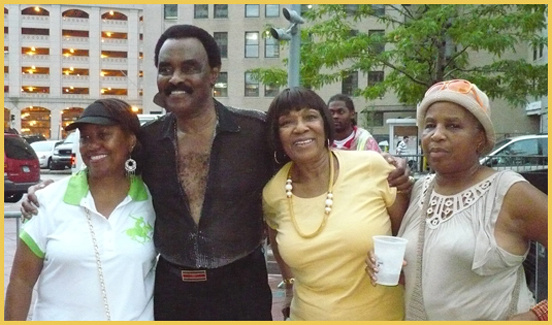 As intense a soul belter now as in the days of such hit records as "Any Day Now" and "I Don't Want To Cry," Chuck Jackson has been conquering demanding audiences worldwide for over four decades. Now he's taking on the World Wide Web. 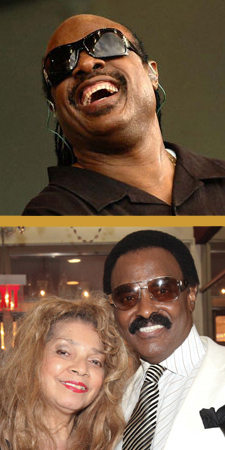 To fans of genuine rhythm and blues music, the name Chuck Jackson needs no introduction. His soaring baritone transformed such songs as "Any Day Now" and "I Don't Want to Cry" into international chartbusters whose soulful declarations have transcended the test of time. These classics and many more have been reissued on compact disk for a new generation of fans to discover. 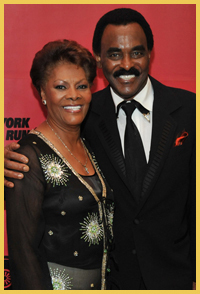 His recent work, including "I'll Take Care Of You," a duet with Cissy Houston, continues the tradition of quality. But Chuck Jackson is also the consummate performer. 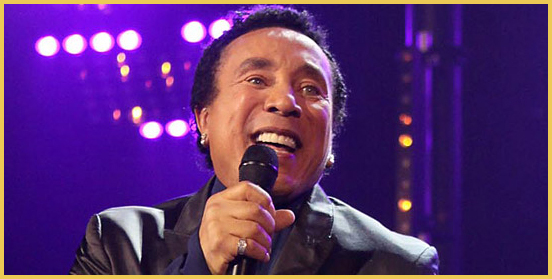 His charismatic live shows continue to thrill audiences all over the world.